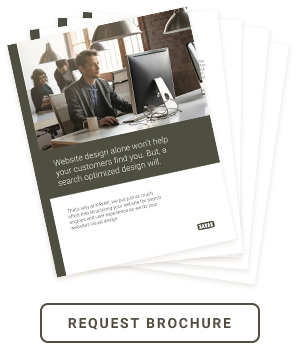 Help your customers find you with a beautiful, search-optimized website. If your website isn’t designed to show up easily in search, work on mobile, and help you grow your business, what good is it? Website design. Designed for results. This is just a small sampling of the many sites we’ve done. Mobile phones, tablets and desktops are the reality of today’s internet user. When you need a new website, sure you want it to be beautiful. But you need it to be responsive so it works across all devices and platforms. You need it to be optimized for search so your customers can find you. And you need it to be easily updatable so you’re not being held hostage by a designer or developer ever again. And at KAYAK, we make sure you get it all. Discover how KAYAK’s approach to website design and development will help your business rise above the competition.